Superstar writer James Robinson (Squadron Supreme, Scarlet Witch, Starman) steps into the world of James Bond in an all-new miniseries, authorized by Ian Fleming Publications Ltd, centering around the character's CIA ally and friend Felix Leiter. Robinson will be teaming with artist Aaron Campbell (Harley Quinn, Uncanny, Sherlock Holmes) for Felix Leiter's first-ever comic book series! In the new series, Felix Leiter -- now operating as an independent investigator -- finds himself in Japan, tracking down a beautiful Russian spy from his past. But when the mission takes a turn for the worse, he will discover that there are more deadly schemes taking shape in Tokyo... and beyond! 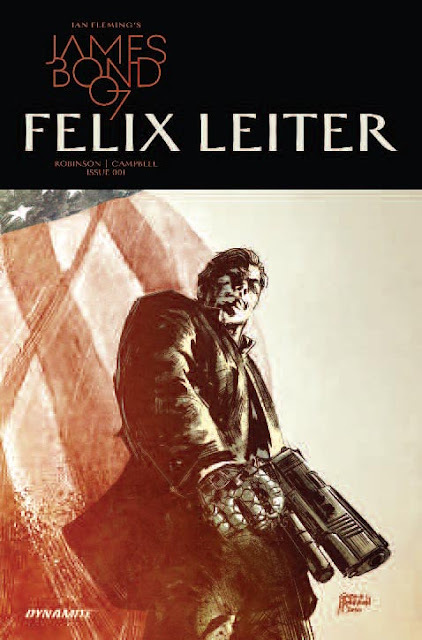 "Felix Leiter is a fantastically interesting character," says writer James Robinson. "He combines the best elements of the James Bond universe with the dark alleys and darker deeds of crime fiction. A private detective, done with a life of spying, who is constantly dragged back into that world, like it or not. I'm excited for readers to see the tale of intrigue and big action that I've dreamed up for Felix." "We are incredibly fortunate to be working with such talented creators and great properties. 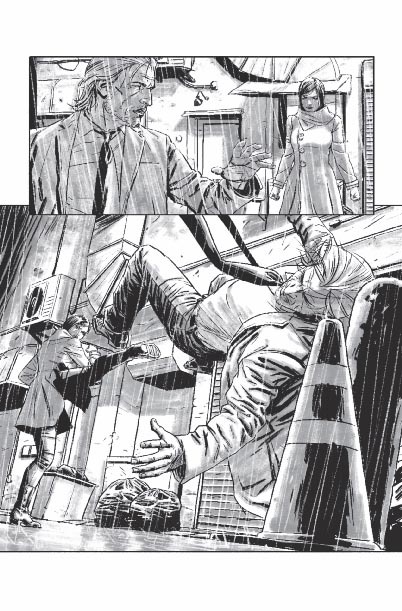 When it comes to James Bond, the character is both an icon and a great property, and we've worked with very talented creators, including Warren Ellis and Andy Diggle, to capture the very essence of literature's greatest spy on the comic page. Now, to work with James Robinson on an immediate follow-up to his current original Dynamite series, Grand Passion, is extremely rewarding," says CEO and Publisher, Nick Barrucci. "When we approached him about writing this particular Bond series, we knew he was the perfect writer to bring this character to comics in Fleming's original voice. This is a must-read series for any James Bond fan." "I've been a lifelong fan of James' writing and it's beyond a thrill to be working with him on not one, but two comic book projects this year," says Joseph Rybandt, Executive Editor at Dynamite. 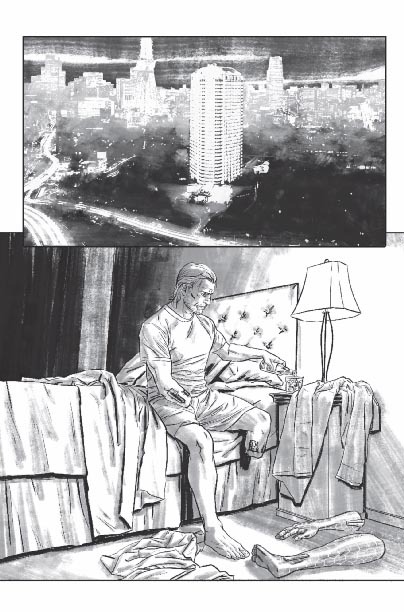 "The expansion of the 007 comic book world this time out focuses on his American counter-part, Felix Leiter, and sends him into Japan. It's a trip all Bond fans are going to want to take this January!" James Robinson is a multiple Eisner-winning writer, perhaps best known for the 1994 reimagining of DC's Starman, reimagining a Golden Age character to find a new widespread audience and take home an Eisner for Best Serialized Series. An expert at revitalizing classic concepts with a fresh new look and perspective, Robinson has also had celebrated runs on Justice Society of America, Batman: Legends of the Dark Knight, Hawkman, and more. His creator-owned series Leave It to Chance for Image Comics won two more Eisner Awards in 1997, for both Best New Series and Best Title for Younger Readers. Additionally, he was nominated for an Eisner Award for Justice League: Cry for Justice, and also wrote the screenplay for the 2003 theatrical version of Alan Moore's The League of Extraordinary Gentlemen. Aaron Campbell has worked as an interior artist on some of Dynamite's most well-known characters, including The Shadow and Green Hornet. He was also the series artist on Andy Diggle's Uncanny, which shares many of the same sensibilities as James Bond. Felix Leiter first appeared alongside James Bond in Ian Fleming's very first novel, Casino Royale, published in 1953. He would later make appearances in Live and Let Die, Diamonds Are Forever, Goldfinger, Thunderball, and The Man with the Golden Gun, making him one of Bond's most frequent allies throughout the books. Originally a CIA operative, Leiter has begun to work for Pinkertons as a private detective when Bond encounters him in Diamonds Are Forever, although he is hired by the Agency for specific missions in the later books. In Live and Let Die, Felix is the victim of a shark attack in which he loses part of his right arm and left leg, sporting prosthetic limbs during his subsequent appearances. In this new miniseries, we meet Leiter post-injuries, and working independently from the CIA at his own detective agency. James Bond: Felix Leiter #1 will be solicited in Diamond Comic Distributors' November 2016 Previews catalog, the premiere source of merchandise for the comic book specialty market, and slated for release in January. Comic book fans are encouraged to reserve copies with their local comic book retailers. 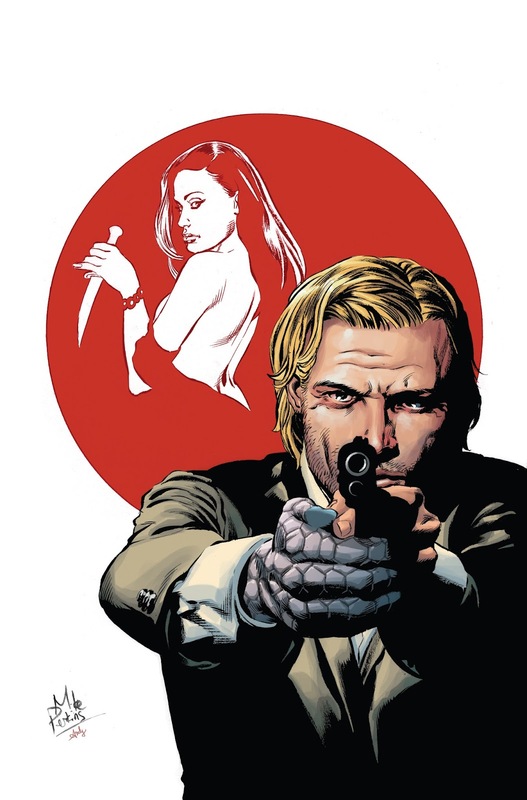 James Bond: Felix Leiter will also be available for individual customer purchase through digital platforms courtesy of Comixology, Dynamite Digital, iVerse, and Dark Horse Digital.